This is the list of current and past PubForum/E2EVC Presenters. Some of the information on this page might be outdated. “Rob has a wide experience in IT where he has been working as a freelance consultant/trainer for many years now. He started his career in 1990 as a technical communications systems engineer where he was responsible for creating many big UTP networks, after that (at the same company) he started learning the ICT basic skills (at the service desk) where he learned how to become a real systems administrator. After working several years as a system administrator he decided the time was right to become ICT consultant. Rob distinguish himself by his excellent communication skills, Rob loves his job!, Adopted assignments become satisfactorily completed! Works as Senior Technical Consultant for the independent Dutch consultancy firm Platani. Wouter has a passion for technology and application and desktop virtualization solutions in particular. Started his IT career in 1999 exterminating Y2K bugs and has specialized in server based computing, VDI and application delivery since 2002. At Platani Wouter designs, builds, implements and blogs about IT infrastructure environments. Mostly based on centralized workspace concepts using technology and products from major players like Microsoft, VMware, Citrix and RES Software. Wouter has experience working in complex, high-tech and large (political) environments. He is an excellent troubleshooter, it is said that Wouter has a good sense of humor and unconditionally loves Microsoft Excel. Yoni Avital, Co-Founder and CTO of Smart-X Software Solutions, is a well-known Citrix expert in Israel. Yoni has been working with Citrix products for more than 13 years and implemented dozens of large scale XenApp and XenDesktop projects. In the last couple of years, Yoni utilize his vast experience in managing complex RDS/VDI enterprise environments to spearhead ControlUp product vision of setting the new standard in Terminal Server and VDI management. Christa Anderson is somewhat shocked to realize that she has been working with Windows Server since 1993 and server-based computing since 1996. A Terminal Services MVP 2003-2007, she's been a regular presenter at a number of trade shows including iForum. COMDEX, CeBIT, and BriForum, and is the author of hundreds of articles in Windows IT Pro Magazine and TechTarget on Terminal Services, Citrix products, VBScript, and PowerShell. In order to stop telling people how to work around issues in Terminal Services she decided she'd rather fix them and worked for ISVs triCerat and visionapp before joining Microsoft in 2007, where she is a program manager on the Remote Desktop Virtualization team. Building software is fun. Even though she has a day job, Christa can't stop writing. Her most recent book is the "Windows Server 2008 R2 Remote Desktop Services Resource Kit" book (released in December 2010), with Kristin Griffin. MSc has been working in different roles and functions as an IT consultant since she finished her Masters degree in Computer Science in 1997. She has worked as a web developer, database administrator, and server administrator until she discovered how Server-Based Computing ( SBC ) combined servers, desktops, and user experience in one solution. She has been specializing in virtualization solutions such as SBC, VDI, application, and server virtualization for over seven years now and currently works as a senior consultant at PepperByte, where she designs and implements Citrix® solutions for both small-business and large-enterprise infrastructures scaling from 100 to 15,000 users. Benedict is working more than 10 years with Microsoft Virtualization Products, Hyper-V and System Center build the center of his daily work at Elanity Network Partner GmbH (http://www.elanity.de) since their first beta versions. Prior to working at Elanity he lead the datacenter of a financial service provider in Hannover, Germany. In 2011 he co-founded the German Hyper-V Community with two friends (http://www.hyper-v-community.de) to evangelize this great topic in Germany. He was appointed Microsoft MVP for Virtual Machine in 2013. Benedict is looking forward to meet new Virtualization fans, so don't hesitate to contact him. Freek works as an Infrastructure specialist at Wortell, a system integrator company based in the Netherlands, where he focusses on Desktop Virtualization and all related technologies mostly on the Microsoft platform. He maintains his personal blog at themicrosoftplatform.net where he writes articles and blog posts related to Remote Desktop Services and other Microsoft technologies. Freek is awarded Microsoft MVP on RDS since 2011 and is an active moderator on TechNet Forum and contributor to Microsoft TechNet Wiki. Wilco has his own freelance company VanBragt.Net Consultancy. In his role as architect, technical projectleader and/or senior consultant he is working for client based on Microsoft and Citrix technologies. Wilco also own the website VanBragt.Net Virtualization, where he writes articles about virtualization technologies. He also writes for other websites en presents on several events like E2E Virtualization Congress, BriForum, NGN, DuCUG and Citirx Synergy. Wilco is awarded as Citrix Technology Professional (CTP), RES Valuable Professional and Microsoft MVP for RDS. Iain Brighton is an experienced desktop virtualisation consultant, RES Software Certified Trainer (RCT) and Valuable Professional (RSVP). He is also the founder and co-owner of Virtual Engine Limited, the Dynamic Desktop Delivery Specialists, providing consultancy services on various desktop virtualisationf solutions to European organisations. Douglas Brown has over fifteen years’ experience working in the application and desktop delivery space. Mr. Brown worked at Citrix Systems, Inc. as a Senior Systems Engineer from 2001 to 2004 at which time he was voted Systems Engineer of the Year 2002 by his peers and management at Citrix. After leaving Citrix, Douglas founded DABCC, Inc. with the mission to provide the resources people ‘need’ when they ‘need’ them. Douglas was awarded the Microsoft MVP (Most Valuable Professional) by Microsoft Corporation in 2005 through 2011 for his contributions to the industry. He was also a charter award winner of the Citrix Technology Professional (CTP) and VMware vEXPERT award for his continued community support. Mr. Brown is also the founder of DABCC.com (1999), the oldest and most frequented independently owned web site for virtualization, cloud computing, and server-based computing news and support resources. As an experienced solution architect and consultant, I have proven track record of platform integration, projects architecture and technical leadership. I have an extensive background in technical designs and delivery of new solutions and opportunities in the enterprise software market both domestically and internationally. Specialties: Designing, Project Planning, High-level Designing, Pre-Sales, Post-Sales, Solution Architecture, Supporting and educating, Customer Advisor, Technical Strategy. Cathal Cleary started his IT career in 1996 working as a C++ developer on mobile phone network infrastructure projects for Motorola. He joined SureSkills in 2001, where he was responsible for Networks and IT Security consulting, and later EMC Clariion storage. Cathal's VMware journey began in 2004 when he was nominated as the lead technical consultant for virtualization in SureSkills, tying together his storage, networking and DR experience. He continued in the role until he left SureSkills in 2008 to join VMware as Systems Engineer for Ireland. Cathal helps customers across Ireland understand VMware technology and how it can significantly transform IT departments from reactive problem-fixing environments to highly innovative, flexible and valuable parts of modern organisations. Donal Farrell is a consulting architect with Cloud Nine Computing. He specializes in architecture design and implementation for llarge VMware and vCloud projects. He is currently working on large infrastructure, BCDR, and VDI projects in the financial sector in Dublin and London. Donal formerly worked as an escalation engineer with VMware, as a performance engineer in the storage team, and most recently as a staff engineer with VMware IT during the rollout of the internal vCloud implementation. In his spare time he works on open source filesystems such as ZFS and pNFS implementations. He will also start a blog - sometime. Simon Frost has been working with virtualisation for many years, he just didn’t realise that’s what it was called. From running Unix machines in a VM on an Amdahl mainframe, through working on PC emulation products and thence to the virtual app world for Citrix. Simon has worked on many aspects of the Citrix Metaframe etc product line, most recently on (desktop) Receiver and Merchandising Server. As Senior Systems Engineer at Nutanix, David provides guidance to customers, resellers & partners on Nutanix’s market leading hyper-converged virtualisation platforms. Having joined Nutanix in June this year after over thirteen years at Citrix he’s well placed to bring insights from previous roles to his new home. is a senior consultant with Sigma Solutions. Adam specializes in mobility and virtual application/desktop delivery leveraging the Citrix product family. He has worked with Citrix products for almost a decade. He is skilled at architecting, deploying, and troubleshooting their products. Adam is a Citrix Certified Expert – Apps and Desktops, Microsoft Certified Systems Engineer, and Microsoft Certified IT Professional. He is an active member of the Citrix community and writes for his own blog. Kristin Griffin started working with computers in 1996. Employed first as a Web site and graphic interface designer, in 2000, she took a job in Washington DC, and jumped headfirst into networking, IT consulting and server-based computing. A Remote Desktop Services MVP, Kristin likes sharing her learned knowledge with others. She moderates a Microsoft forum dedicated to helping the server based computing community (http://social.technet.microsoft.com/Forums/en-US/winserverTS/threads/ and maintains a RDS blog at blog.kristinlgriffin.com. A contributor to Mark Minasi’s Mastering Windows Server 2008 and 2008 R2 books (both from Wiley), she also co-authored the Microsoft Windows Server 2008 Terminal Services Resource Kit (MS Press) and the Microsoft Windows Server 2008 R2 Remote Desktop Services Resource Kit (released in December 2010), with Christa Anderson. David Hald, Co-founder and CEO. David Hald is a founding member of SMS PASSCODE A/S, where he oversees the overall company strategy and operations as CEO. Prior to founding SMS PASSCODE A/S, he was a co-founder and CEO of Conecto A/S, a leading consulting company within the area of mobile- and security solutions with special emphasis on Citrix, Blackberry and other advanced mobile solutions. In Conecto A/S David has worked with strategic and tactic implementation in many large IT-projects. David has also been CTO in companies funded by Teknologisk Innovation and Vækstfonden. Prior to founding Conecto, he has worked as a software developer and project manager, and has headed up his own software consulting company. David has a technical background from the Computer Science Institute of Copenhagen University (DIKU). Helmut Hauser is a Senior Enterprise Consultant at visionapp AG, a platinum Citrix and Microsoft partner awarded for Most Innovative Projects, V-Alliance Awards, etc. Working since about 13 years in the terminal server business he can remember the old Winframe days. To mention here: Helmut Hauser has been awarded for one of the top of several Microsoft Beta Tests. Besides that Helmut is a member of the still growing brilliant Pubforum community. Further skills and interests are deep dives into several Unix OS-Es, debugging, System-Monitoring, Network and Security. Troubleshooting and how-does-it-work keeps him driving beyond. Didier Van Hoye has been earning a living in IT since 1996. Currently he's the Microsoft Infrastructure Architect at the Flemish Geographical Information Agency. In his day job he's involved with Windows Infrastructures amongst which Exchange Servers, SQL Servers & the System Center Suite. Didier uses Hyper-V, failover clustering, NLB, and Storage Area Networks in creative attempts to give his demanding user base both good & cost effective solutions to sometimes very challenging needs. Andreas Huther has ten year experience in terminal services, presentation server und xenapp enterprise solutions. He started in 2000 at one of the first german platinum partner focusing on application and desktop virtualization. He served medium- and large sized businesses, as well as key virtualization technology projects. In 2011 he joined the braincon GmbH which is a german independent virtualization technology consulting company as executive director. With over 10 year of experience in IT, Martijn is a focused and very analytical technical consultant for Groupe OPEN. He is always search for practical solutions within the boundaries of technology. The end result is always an acceptable solution, either technological or procedural. Abstraction of information into a clear picture is one of his strengths. A deep technical knowledge about application delivery and broad experience in Microsoft Windows and applications are his strengths. Martijn holds several Citrix certifications, Citrix Certified Expert – Virtualization (CCE-V) and Citrix Certified Professional – Mobility (CCP – M) and is a RES Software Certified Professional (RCP). Ronnie Isherwood is a freelance IT Consultant and Trainer, working mainly in the Channel Island’s SMB, Government and finance industry.. In the last 10 years much of his work has involved building and supporting Windows and virtualisation technology solutions. Ronnie blog’s on Virtualfat.com about Microsoft’s virtualisation and System Center technologie and involves himself with the local IT community. Duco Jaspars has been working in IT for nearly twenty years. Duco has a background in networking, and extended his knowledge over the years to virtualisation and storage. infrastructure and solution architect/designer with focus on ADC’s, public/private cloud, networking optimization, multi-tenancy and security. Director of Professional Services @ nGenx with 17+ years in IT and 14 years with Citrix products together with background in security testing/advisory and development he is a NetScaler wizard/evangelist and frequent presenter at industry events like Citrix Synergy/Summit and BriForum. Henrik is a CTP, CCIA, Citrix MVP SME. Stefan Koell has been working in the IT business since 1995 and founded code4ward.net (an IT consulting and software development company) in 1999. Stefan has extensive IT infrastructure and software development experience including, enterprise directory services, messaging, web services, systems management, virtualization, .NET development and PowerShell scripting. In the last couple of years, Stefan specialized in the Microsoft System Center field (mostly monitoring and service management) and received his first Microsoft Most Valuable Professional (MVP) award in 2010. Stefan is also the author of Log Smith (a free event log and SCOM event log analysis tool) and the very popular shareware application called Royal TS which allows you to manage remote connections (e.g. RDP, SSH, etc.) on Windows, OS X and mobile platforms. Bob de Kousemaeker has over 15 years of experience in the Information Technology industry. Working for companies like Microsoft, IBM, Getronics and Capgemini allowed Bob to prove himself in Enterprise Architecture and Project Management for large organizations like Ministry of Infrastructure and Environment, Department of Defense, Nederlandse Spoorwegen and Philips. In the years of self-employment Bob has specialized in Enterprise Architecture, Server and Application Virtualization, System Management, Application Provisioning, Workspace Management and Security. Nicke Källén - deployment technician who spent a lot of time investigating App-V and the works of it. Awarded Microsoft MVP for App-V area in 2010 and continuing contribution of how to utilize App-V to the fullest. Often involved in migration projects and resolving issues within those. A living breathing Dinosaur of the IT industry with 011110 Years hardware & software experience. Luckily his brain seems work on a First In – First Out storage model, so his technical skills have managed to evolve at least one step behind the latest & greatest IT trends. Stuart has most recently (10 years) specialised in designing and implementing Network, Server and Application Performance Monitoring for enterprise scale heterogeneous infrastructures – and now works with eG Innovations where he combines a market leading software solution with IT best practices and subject matter expertise to help organisations improve IT services and reduce the time-to-fix in complex physical and more frequently virtualized environments. Helge Klein is an independent consultant and developer. As a consultant, he has worked in Windows and Citrix projects for various larger German corporations. As a developer, he architected sepago's user profile management product sepagoPROFILE whose successor is now available as Citrix Profile Management. In 2009 Helge received the Citrix Technology Professional (CTP) Award, in 2011 he was nominated a Microsoft Most Valuable Professional (MVP). Helge's professional interests are focused on Microsoft server technologies, various Citrix products and programming in several languages. He publishes his knowledge in English in his blog at http://helgeklein.com/blog. Helge can also be found on Twitter as @HelgeKlein (http://twitter.com/helgeklein). He has presented on many occasions, e.g. Citrix TechEdge Munich 2009, ice Lingen (2009 and 2011), PubForum (2010 and 2011), Microsoft TechDay Online 2010, Citrix Synergy 2011 and 2012. Helge is the author of SetACL (http://helgeklein.com/setacl), a powerful tool for managing Windows permissions from the command line or from scripts and programs. SetACL has been downloaded more than 500,000 times. Its modern cousin SetACL Studio (http://helgeklein.com/setacl-studio) comes with an intuitive graphical user interface and is available for a small fee. Another popular tool, Delprof2 (http://helgeklein.com/free-tools/delprof2-user-profile-deletion-tool/), automates the deletion of user profiles. Helge lives in Cologne, Germany. Throughout the last two decades, Mark S. Knouse has been involved with various areas of technology ranging from aerospace optical design and manufacturing to IT architecture and operations for enterprise pharmaceutical companies and financial firms. His passion and focus is virtual computing. He is also the founding member of a certification training ring focusing on Citrix and VMware technologies. Mark’s hobbies include motorcycles, music, art, fine dining, and sampling new beers with friends. Thomas Krampe has worked in the IT industry for more than 15 years, with the biggest technology consulting companies in the world. Since April 2008, he has worked at visionapp AG, taking on the role as Head of GRID computing for a large German bank with daily operation of more than 2.200 HP C-Class Blades within a GRID System. He created the well-known German "wiki.xenmaster.de" Web site to share his deep Xen - knowledge (xenserver, xenclient, xendesktop) with the worldwide community. In addition to his daily job, Thomas has been awarded as a Citrix Technology Professional since 2009. He often presents at several technical events in EMEA and is a permanent speaker as part of the Citrix EMEA Geek-Speak series. Gerjon Kunst is a senior consultant at Lesscher IT in the Netherlands. His primary focus is on Server and Desktop virtualization and Desktop and Application delivery. Working around 10 years in IT he has implemented dozens of XenApp/XenDesktop environments. A graduate from Reading University, Mark Lillywhite has over 15 years experience in PC Lifecycle Management, Software Asset Management and IT Service Management. Mark has been involved with Application virtualisation & streaming since 2004, and is currently responsible for all technical aspects of Matrix42's User Workplace Management in Northern Europe. Mark lives just outside Reading, UK with his family and motorbike, and is fluent in both German and English. Jorge LUIS is a professional consultant, with full Citrix CCE-AD, CCE-PD accreditation and Microsoft MCITP Enterprise Administrator , currently specializing in the technical architect design and implementation of Virtualization, Delivery Datacenter, Cloud Computing, Active Directory, Citrix farms, and Client/Server O/S management throughout the enterprise. I’ve started working on IT 20 years ago sealing hardware PC and managing first one big factory in France (1500 PC / month). After hardware I’ve decided to focalize my knowledge on software and discover on my first contract in 1999 Winframe 3.51 with Sun OS. I’ve implemented all the major CAC 40 Farms all over France and cover the most important IT’s. My last deployment involved 5000 VDI with 400 TB of NAS and 100 Hypervisors. Involving large project > 250000 Users, transform standard IT to Dynamic IT with Microsoft, Citrix & VmWare consolidation. Ramzy Mansour is an established Citrix and Terminal Server expert since the early Winview and hydra days. He started his professional career as consultant in Europe and later in South and North America. He implemented and co-designed the first Citrix ASP solution in Europe and is specialized in enterprise projects. Ramzy eventually made into Citrix by the end of 2005 after leaving his navy career and was leading the printing and performance technical support team in EMEA for 3 years before joining the Management HQ Leadership Team in Technical Support EMEA . Ramzy is currently responsible for overseeing the activities of the customer and partner support team including the support of XenApp, XenDesktop and 24x7 first and second line support. In 2010 Ramzy Mansour was elected to Memory Dump Analysis Service's board of Directors overseeing the World Wide Operations of Memory Dump Analysis Services. Saša Mašić has his first contact with server virtualisation during his studies at Technical University Hamburg-Harburg in late 90´s of last century. Afterword spend many years working with leading server / desktop virtualisation and terminal server solutions. Currently work as Senior Consultant for server / desktop vitualisation and terminal services at Dataport in Kiel. His interests beyond IT are his family, basketball and alternative Music. Chris Marks has been working in IT since he was 7, after a long career in the merchant navy, he is also a compulsive liar. Despite all that, he has been a Certified Lotus Instructor and successfully jumped ship to be one of the first CCI’s in the UK 13 years ago. He has worked in technical support escalation, solutions architecture and management and has implemented & managed a SaaS business from the ground up. He has been directly involved with E2EVC (Pubforum) since the very beginning (8 long years ago) and has loved every minute of it. He currently spends most of his work time architecting strategic solutions of many flavours – all of which are focused on user productivity and business agility. His spare time is spent competitive duck herding. Pierre Marmignon is known as one of the very top European expert for Application and Desktop delivery, a field he has been working on since 2003. He has been successfully creating then running the Citrix departments for two Citrix platinum partners, creating then managing the teams that have delivered the Citrix environments now in use across a number of French Fortune 100 companies. He is a well-respected Desktop Virtualization expert, and a leading technical community voice in Europe and the United States. Pierre’s reputation has been based on these successes as well as his creation of automation scripts and tools that industrialise Citrix integration and management. These tools are in production today within thousands of organisations. He also run the popular community website CitrixTools.net (now part of www.Norskale.com) and is a regular contributor to Brian Madden and other cutting edge technical websites. Virtualization expert and architect, System Administrator on Linux and Windows OS, network and storage specialist, and teacher (both for industry and University). CTO of Assyrus Srl, an Italian IT company. Italian VMUG Co-Founder and board member. VMTN Communities Moderator since June 1, 2010. Active blogger on vInfrastructure (both in Italian and English) since July 2011. Backup Academy contributor on Jun 2012. Holding multiple technical certifications and accreditations from VMware (VCDX3, VCDX4, VCDX5, VCP3, VCP4, VCP5, VCAP4-DCA, VCAP4-DCD, VCAP5-DCA, VCAP5-DCD, VCA4-DT, VCP4-DT, VCP5-DT, VCAP5-DTD, VCP5-Cloud, VCAP5-CIA, VCAP5-CID, vExpert 2010, 2011, 2012, 2013 and 2014), Microsoft (MCP, MCSA, MCSE, MCTS, MCITP), Citrix (CCA, CCSP), EMC (Proven Professional - EMCPA), and Symantec (STS, SSP, SSE, SSE+). Andrew is a technology professional with a passion for virtualization and how it has changed the game. For the past 10 years he made sure to listen more than he speak and have learned a lot more that way! He received his start at Citrix, then went on to VMware and currently he works at Nutanix. During this time he have assisted colleagues in establishing and sustaining local user group communities in the United States. His passion for a phenomenal user experience hopefully can match the knowledge of the folks he have met along this incredible journey. Andrew Morgan works as a Solutions Architect, focusing on Desktop Virtualisation and application delivery. His primary focus is on SBC, VDI and Application virtualisation with a personal preference for Citrix products. Andrew spends most of his time Blogging about desktop virtualisation challenges, stirring the pot on twitter or developing tools / scripts to plug holes in his current projects. Andrew is MCSE, CCIA and VCP certified, Andrew was also awarded the RSVP (RES software valued professionals) title in 2011. Jim Moyle is a technical consultant with over a decade in the application and desktop delivery sector, he has worked for many blue chip companies around the UK and hopes to continue doing so for at least as long in the future. has more than 15 years of experience in the field of Information Technology. Infrastructure, Systems Administration/Engineering, Security Systems, IT management and holds several professional IT certification from Microsoft, Cisco, PMI, CWNP and EC-Council. Ahmed Nabil graduated from the Arab Academy for Science & Technology, Egypt 2000 with a BS in Electrical and Control Engineering. He completed his graduate education and earned MSc in Business Information Technology from School of Computer Science, Middlesex University, UK in 2007. Ahmed real passion is Networking and Security. I am currently working as PGESCo IT Manager managing the Security, Networking, System admin/Engineering and Application support teams. Ahmed Nabil is an MVP – Enterprise Security for the last 2 years. Besides being a subject matter expert in cloud computing and a true VMM Ninja, Kristian Is an experienced speaker, delivering both keynotes and highly technical sessions (level 400) on subjects like Windows Azure, System Center, Windows Server and Hyper-V, and often used by Microsoft both nationally and globally as a speaker and writer. To stay sharp, he spend a lot of time in the TechNet forums as well, trying to help the community so they can get the most out of the technology, and deliver training to the local user groups in Norway. He is also the author of "Cloud Computing - Med Virtual Machine Manager 2012" - Published by IDG/BookWorld, and have participated on several other books related to cloud computing, virtualization and technology in general. delivery (XenApp & XenDesktop), System Center Configuration Manager and last, but not least, Citrix AppDNA. Nick Pandher is a Senior Business Development Manager at AMD responsible for GPU products in cloud and virtualized environments. Nick has been in the workstation space for over 25 years, engaged in the first Windows based 3D accelerated ISV deployments while at NEC. That workstation background took Nick to the first high performance GPU vendor, 3dfx and then onto NVIDIA both around technical sales and new market development roles. Prior to joining AMD, Nick was Asia Pacific Director for Teradici (developers of the PCoIP Protocol) in that role he worked with virtualization focused SI's and VAR's to help deploy Teradici technology into significant regional deployments along with growing the ecosystem of PCoIP enabled partners. Thomas Poppelgaard is an independent consultant / technology evangelist with over 18 years of experience. One of Thomas goals is to better help business adapt new technologies. Running his own company as a Technology Evangelist, and a subject matter expert on remote graphics, where he help companies globally how they can virtualize 2D/3D graphics in the cloud. Thomas uses a lot of his time researching/testing/qualifying/benchmarking End User Experience with remote visualization technologies. Thomas Poppelgaard helps with professional services such as vendor alignment, IT-strategy, architectural designing, planning and implementation solutions within Citrix, Vmware and Microsoft. Highly involved in Proof of Concepts to help proving why business should adapt new technologies. In depth knowledge about HDX 3D Pro since 2008. Specialized in how CAD/CAE/CAM/Media applications can be virtualized with Citrix/Vmware/Microsoft (SBC/VDI technologies) with GPU’s from NVIDIA/AMD. Thomas Poppelgaard is also the founder of POPPELGAARD.COM, where he shares news and his knowledge about Citrix and remote visualization solutions. He is a certified CCA, CCEE and CCIA. Thomas is accredited as a Citrix Technology Professional (CTP) & RES Valuable Professional. Carsten Rachfahl started his IT career in 1988, working as a developer on porting X-Windows to an OS called OS/9. In 1991, he founded his own company in Germany and is self-employed since these ancient days. Starting 2001 with Citrix/Terminalserver, his focus is on the virtualization space till nowadays. When Microsoft finally created a “real” Hypervisor and brought that to the market, he was all in. His Blog www.hyper-v-server.de is highly recognized and appreciated within the virtualization community. The Blog features tutorials, articles, screencasts, video interviews and podcasts focusing on the Microsoft Private Cloud. Being MCT, he teaches various Microsoft virtualization-, and his own “Hyper-V Powerkurs” course. As co-founder of the German Hyper-V Community he regularly organizes events and he has received the Microsoft Most Valuable Professional (MVP) award for Virtual Machine in the year 2011 and 2012. Owner and Principal Architect at RESguru Consulting Services. In early 2009 Max initiated RESguru.com, which today is still one of the most frequented technical resource sites in the RES community. While still fulfilling the purpose of knowledge sharing, the site is now the home of RESguru Consulting Services. Max and his wife are based in Sausalito, CA. When not abroad Max can usually be found in his garage somewhere, whistling away with V8 sauce up his elbows. Michel Roth has over 15 years of experience working with application and desktop delivery technologies. He currently works for FSLogix in EMEA. Michel’s specialization is in desktop virtualization. In his spare time he maintained the website https://t.co/lol0ECd4BA. Michel Roth also was an author for other community websites such as: https://t.co/noZpLDSXQz, https://t.co/LNhhUtjMhk and https://t.co/Ke13KLWVd7. Michel Roth has been awarded as a Microsoft Valued Professional (MVP) for Remote Desktop Services. Michel Roth also has been awarded with the VMware vExpert status. Additionally Michel Roth also presented at related conferences and forums like BriForum, TechEd, VMworld and E2EVC. Michael Rüefli is technology enthusiast and senior consultant at INSERTO, a systems integrator and SBC specialist in Switzerland, with more than 14 years’ experience in integrating SBC environments in mid to large customer projects. Barry Schiffer is a senior technical consultant with 13 years of IT experience. He has gained both a broad and deep knowledge in the sphere of IT. Throughout the years, Barry has developed into a specialist in the field of Microsoft Windows, Server Based Computing, desktop and server virtualisation. Barry can be descibed as a driven consultant who is always well informed about the latest technologies and puts these into practise eagerly. With his accuracy, customer- and service-orientation, he is capable to provide a high quality and founded advise to clients. Besides, due to his technical background, he is able to implement and supervise the provided advise. Barry is a Citrix Certified Integration Architect, Microsoft Certified IT Professional and RES Certified Professional. RES Software also named Barry RES Software Valued Professional in 2012.
is a consultant in server based computing. His primary focus is on application delivery and frontal access platforms. Julien is a mathematician, kind of stunned to realize that he has been working with Windows Server and server-based computing for almost 15 years now. He is an innovative, results-oriented architect using a technology to reach business objectives. Julien is a senior partner @D2SI, Paris-based Platinum systems integrator. Julien designed some of the most complex application delivery environments for major French financial institutions. He is a Citrix Certified Integration Architect (CCIA), Citrix Certified Professional – Networking, as well as Microsoft Certified Systems Engineer and MCITP and occasional blogger. When off the grid he is enjoying Leonhard Euler’s work, mainly his mathematical study of harmony, supporting PSG and reading Arthur Clarke. Peter Söderholm joined Citrix in 1998 within the Support organisation and later on as a System Engineer, he is currently looking after the Nordic Systems Engineering team working as well as working with some of the largest Citrix customers in Sweden. Neil is one of the UK’s prominent virtualisation & server-based computing consultants and advocates having worked with Citrix products since the early days of Winframe and Metaframe. He has been instrumental in the initial deployments of server-based computing technologies into a number of large financial institutions and the continued development and expansion of those into the enterprise environment. Neil is trained and certified on VMWare, Citrix and Microsoft products to give a balanced view of the virtualisation marketplace. He is also a recognised SME by Citrix having contributed to XenApp 6 CCA, CCAA and CCEE exam content development and is a RES Software Valued Professional (RSVP). Neil is an active member of the Citrix community in the UK, travelling around Europe to both present and attend E2E/PubForum events, iForum/Synergy and is on the steering group of the UK Citrix user group. He also runs the community website for Citrix Synergy www.synergybarcelona.com and is currently working on building the Citrix Community Lab, a low cost, cloud-based lab environment for technology professionals to try out the latest Citrix and related products. Roy Textor startet his IT career in 1991. He has worked since 1997 in Citrix environments and was employed at various Citrix partners. As the owner/CEO of textor IT he is responsible for many Citrix projects at key accounts. Roy Textor is known as a presenter of his TechTalk sessions as well as a speaker at various Citrix-focused conferences and workshops. His in-depth knowledge of Citrix products led to the appointment as Citrix Subject Matter Expert for XenApp / XenDesktop 7.x. He is Microsoft MCP, keeps all current Citrix certifications in the areas of CCEE / CCIA / CCE-V / CCP-V / CCP-N / CCP-M and various CCAs and is also known as CGOV. In addition, he manages and hosts the Germanspeaking Citrix User Group / DCUG. Stephane Thiron is an experienced IT Architect and CTO / Owner of Activlan a French consulting company specialize in consulting and engineering around all virtualization technologies. Mostly focus on Citrix products (CTP, Citrix MVP, CCEE and CCIA) he likes to design and be involve in complex environment, bring and share my knowledge to deliver the best solution. He is also an active community member through his blog http://www.archy.net/ and Subject Matter Expert for Citrix exam building, he tends to share even more by presenting as often as he can during international community events. Enterprise Solutions with Enteo Netinstall. He is working since 1999 with server based computing, terminal services and virtualization. Christian is also member of the Microsoft Infrastructure Inner Circle. Since 14 years he designs and develop fully automated server and client installation, configuration and management solutions. Special interests are automating everything that is possible on any system to avoid any manual installation or configuration. Ingmar Verheij: Ingmar works as a Senior Consultant for PepperByte, focusing primarily on application and desktop delivery solutions mainly based on Microsoft infrastructures, Citrix solutions, virtualization of servers and applications, Desktops and Servers. Ingmar spend most of his time creating solutions for customers to get the most out of their IT Infrastructures and employers. Ingmar is a Microsoft Certified IT Professional, Citrix Certified Integration Architect and RES Certified Professional. In 2014 Ingmar was awarded as RES Software Valued Professional. Ingmar is co-founder and user group leader of the Dutch Citrix User Group. Dmitry Vostokov is an internationally recognized expert and author in memory dump analysis and debugging. Hans Vredevoort is Consultant, Inovativ in the Netherlands, Microsoft MVP (Hyper-V), Microsoft vTSP Datacenter Solutions. He has a been an MVP (Cluster, Hyper-V) since 2009 and has a strong focus on Private Clouds built on top of Hyper-V and Microsoft System Center. He helped to kick-start the Hyper-V community and blogs/presents for www.hyper-v.nu as well as on numerous other occasions. Hans wrote the fabric chapters of Microsoft Private Cloud Computing, was the technical editor for Aidan Finn’s book Mastering Hyper-V Deployment and is now editing a new book project centering on Hyper-V in Windows Server 2012. After a long career with a system integrator in the Netherlands, he joined the System Center focused company Inovativ last year, where he is one of eight MVP’s that are working for this company. Vredevoort has assisted countless companies with architecting and building high available ‘cloud’ infrastructures using Windows virtualization, blade servers and shared storage. Daniel Wedel is a Senior Consultant and Trainer running his own company in Norway. He is currently a Citrix Certified Instructor on the virtualization suite as well as a trainer on Appsense and RES. After 12 years in the IT-industry Daniel has done several presentations at the Norwegian User Group events as well as VirtualPower the biggest virtualization event in Norway. He was also awarded Citrix Instructor of the year - Nordic Region 2010. Laura Whalen began her IT career in the 90's testing and documenting virtual storage solutions at DataCore Software, and wrote the complete set of user documentation for their flagship product lines. She joined Citrix in 2004 as a member of their engineering group, authored a new version of the SDK documentation with 9 SDKs including WFAPI and MFCOM, and then wrote the Presentation Server 4.0 and 4.5 Admin Guide. Laura transitioned to the Citrix Solutions & Community Department in 2007 and now drives the Global Community Programs & Development Team at Citrix, where she is responsible for the Citrix Technology Professionals (CTP), Geek Speak, and Citrix User Group Programs. Laura also manages the Citrix Community web properties including the Citrix Developer Network (CDN). She's a technology enthusiast and all-around geek. Carl Webster is an independent consultant with over 35 years of IT experience. Webster has been working with application and desktop virtualization since 1990 and with Active Directory since 2001. 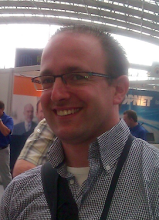 Jeff Wouters, MVP Windows PowerShell, is a freelance consultant and trainer from The Netherlands. He focusses on automation of deployments, migrations and management of Microsoft and Citrix products through PowerShell. Microsoft TechDays, BriForum and multiple user groups. Marcel works for “itnetx”, a company specialized in cloud, datacenter and workplace solutions based on Microsoft Hyper-V, Microsoft System Center and Microsoft Azure. “itnetx” is a Microsoft Gold Certified Partner for Management & Virtualization, Server Platform and Devices & Deployment and also a three-time-in-a-row Microsoft Switzerland Partner of the year. Together with his team, Marcel helps customers to plan and build tailor-made solutions based on the latest Microsoft cloud & datacenter products and technologies. Since April 2011 he is awarded as a “Microsoft Most Valuable Professional” for “System Center Cloud & Datacenter Management”. Sascha Zimmer has joined the IT consulting arena in 2000. He was employed at german citrix platinum partners as system engineer, consultant and senior consultant. He served medium- and large sized businesses, as well as key virtualization technology projects. In 2010 he founded the braincon GmbH which is an independent virtualization technology consulting company at the german market.